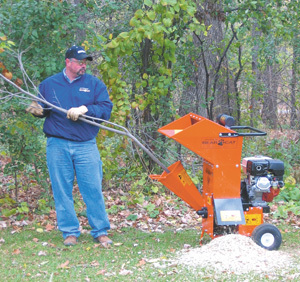 Echo Bear Cat products are renowned for their durability, versatility and are one of the leading products available in the commercial chipper market. Bear Cat chippers feature reversible chipper blades, cantilever rotor design and hydrostatic auto feed systems on some models for the ultimate in chipping power. Users of Bear Cat products include local authorities, commercial landscapers, hire outlets, golf courses, farms and domestic owners. Echo Bear Cat products are fully supported by Randells with service and repair facilities and spare parts available from our Horstead and Dereham branches. Solid welded construction, strong motor mounts, large loading hoppers and big diamond shaped chipper chutes are just some of the features of the Bear Cat 70050. 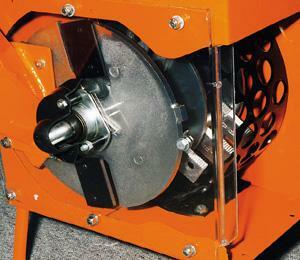 Two reversible chipper blades and eight serrated shredding knives fitted to the 70050 reduce debris efficiently. Serrated reversible shredding knives are the best in the industry, with a performance that surpasses flat hammers in cutting stubborn debris. 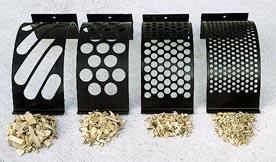 Echo Bear Cat shredders use a staggered pattern to give better performance. An optional blower can be added for discharge control. With single belt drive, the Bear Cat 70050 has the muscle to run strong all day, reducing debris and 7.62cm/3 inch branches to a tidy pile. Delivery of this item is FREE to addresses in Norfolk and the Waveney Valley. One of our own sales engineers will deliver and install this machine. As the supplying dealers, we will be responsible for and will undertake any warranty work needed. We offer a full service, repair and parts backup for Echo Bear Cat machines. Please use our free call back service for any advice or information you may need.